Long after an individual, or a community, has experienced traumatic events, these experiences may continue to affect our personal life and the social fabric of our communities. Traumatic experiences live not just in our memories, but also in the physical body itself, often affecting our ability to self-regulate. Whether you are a yoga teacher, professional working with individuals or communities affected trauma, or have personally felt affected by trauma, you can benefit by better understanding the dynamics of how difficult situations affect the mind and body and how to use trauma-informed yoga as a complementary approach to healing. 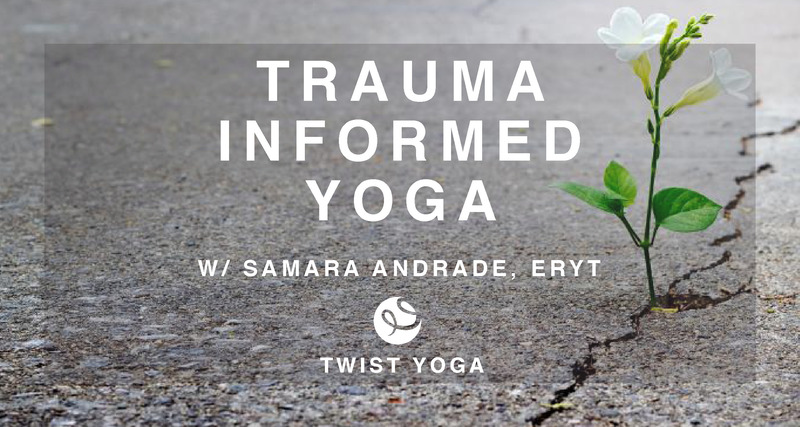 During this Feet on the GroundTMtraining, Samara will share her knowledge of the science behind trauma responses, various ways to ground yourself and others when triggers occur, and the principles and tools of trauma-informed yoga and self-regulation. Samara developed this training along with Feet on the GroundTMco-founder Emily Pantalone. For more information on Feet on the GroundTM, please visit: www.feet-on-the-ground.org. This 20-hour immersion counts as Yoga Alliance continuing education credits. Tuition: $345 if registered by 3/15. $395 after. The thing I’m coming away with most is a deep connection with all of who I am and a desire to keep going. I can see a gift in my traumatic experiences because of the training and people in it. This training went beyond my expectations and has truly shaped my teaching style. Thank you! This training provides great tools for professionals (regardless of yoga experiences) working with trauma survivors. Thank you! The pace, the recognition of privilege, the commitment to social justice, the science, the resources…the sharing of dialogue and invitation for participation – all so enlightening and authentic. There was a great energy between [Emily & Samara] who obviously have massive amount of love and respect for each other, which set the tone for the group…Both so articulate, so open to questions and discussion. Samara is an aid worker, yoga teacher, and movement educator based in Seattle. She has worked in international aid and development for 15years, including running peacebuilding and recovery programming for individuals and communities affected by conflict. She has taught yoga to aid workers, diplomats, police, veterans, and civil servants in Sudan, Nepal, and Afghanistan and for immigrants, veterans and assault survivors in the United States. Samara has studied yoga for traumatic brain injury, trauma-informed and trauma-sensitive yoga practices with Kyla Pearce (Love Your Brain), Suzanne Manafort (Mindful Yoga Therapy for Veterans, Give Back Yoga Foundation), David Emerson and Jenn Turner (The Trauma Center), Hala Khouri (TIY), and Lisa Danylchuk (Yoga4Trauma). Through her organization Feet on the GroundTMshe has presented at conferences in Switzerland and Colombia, teaching workshops on the science and practice of embodied movement as a modality of healing and psychosocial support in trauma-affected communities. In partnership with Beyond Conflict, Samara is co-authoring the Fieldguide for Barefoot Psychologists – a book for refugees, internally displaced persons, and peacebuilders that puts knowledge at the forefront of mental health wellness, integrating the science of stress & trauma with self-care exercises that might help. 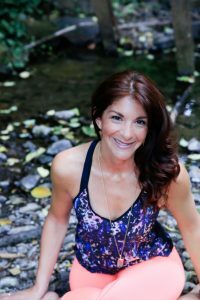 Samara is also an integrated Yoga Tune Up®teacher, she holds a M.A. in International Policy Studies from Middlebury University at Monterey and is in the 3-year Somatic Experiencing®trauma resolution program created by Peter Levine.